Once On This Island at AMDA) portrays Jesse Belvin. The ensemble, with each member playing multiple roles, includes Brooke Brewer, Justin Cowden, John Devereaux, Richie Ferris, Jenna Gillespie, Franklin Grace, Philip Dean Lightstone, Jake Novak, James Simenc, Matthew Sims, Jr., Sha'Leah Nikole Stubblefield and Katherine Washington. "The pre-rock 'n' roll epoch is not at all unlike the independent hip-hop world from which I come," notes Cooper, a founding member of hip-hop trio Ugly Duckling who jumped at the chance to create original songs that capture a key era in American musical history. "Street-wise entrepreneurs like John Dolphin had to be two steps ahead of the industry and faced all the risk and peril of a highly competitive and unregulated business. The predominantly black music, sometimes called "race music," was promoted and sold on a local level, and places like Dolphin's of Hollywood set the trends that the mainstream would soon emulate." Set design for Recorded in Hollywood is by Joel Daavid; lighting design is by Christina Schwinn; costume design is by Mylette Nora; graphic design is by Jason Meza; and casting is by Michael Donovan, CSA. The stage manager is Ronn Goswick, and Racquel Lehrman, Theatre Planners produces. Recorded in Hollywood opens on Saturday, April 11, with performances on Fridays and Saturdays at 8 p.m. and Sundays at 3 p.m. through May 17. There will be two preview performances, on Thursday, April 9 and Friday, April 10, both at 8 p.m. Tickets to all performances are $30 except previews which are $15. The Lillian Theatre is located at 1076 Lillian Way, Hollywood, CA 90038 (1Â½ blocks west of Vine). 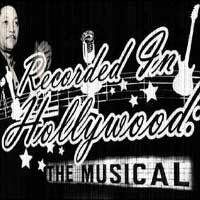 For reservations and information, call (323) 960-4443 or go to www.RecordedInHollywood.com.